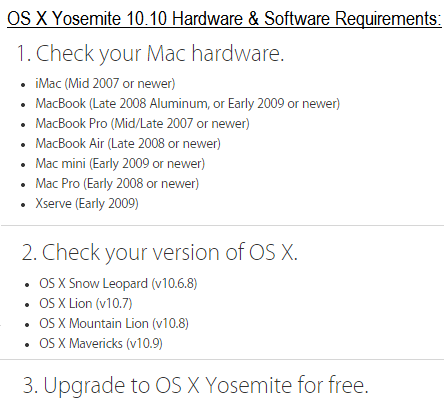 Mac OS X 10.10 Yosemite was announced by Apple at this year's World Wide Developer Conference 2014 (WWDC 14) event, and now the official Free OS X Yosemite 10.10 Final Version (Build: 14A389) has been released to general public users for installation / upgradation / updation. Third-party OS X apps i.e. Xcode 6.1 Final Version (Build: 6A1052c) and iTunes 12.0.1 Final Version for Mac OS X and Windows has also been released. Mac users can Download .DMG and .EXE Setup / Update Files via Direct Links for Free. 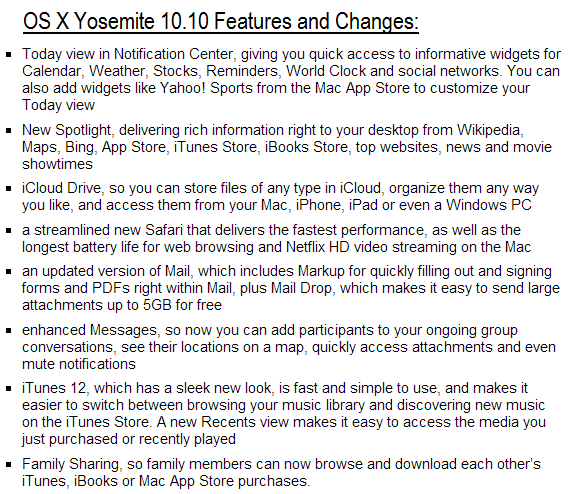 What's New in OS X 10.10 Yosemite Features & Changes? 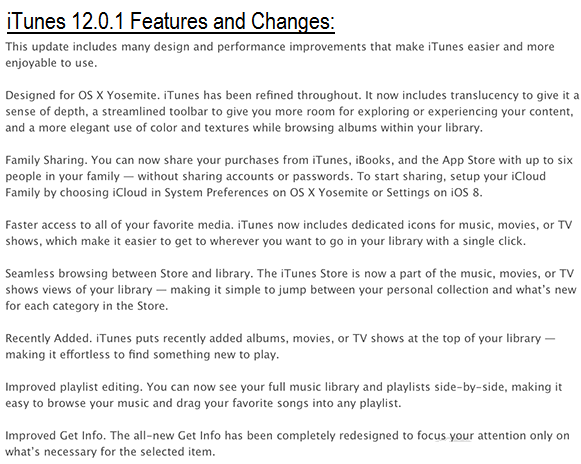 What's New in iTunes 12.0.1 Features & Changes? OS X Yosemite v10.10 (14A389), Xcode v6.1 (6A1052c) and iTunes v12.0.1 final public released version is currently available for the masses, but it has faced several development phases by Apple before through the Public Betas, Developer Previews and Golden Master (GMs). The official Direct Download Links of OS X 10.10 Final, Xcode 6.1 Final and iTunes 12.0.1 Setup / Update Files Free for manual installation via Bootable USB or Bootable DVD is available. 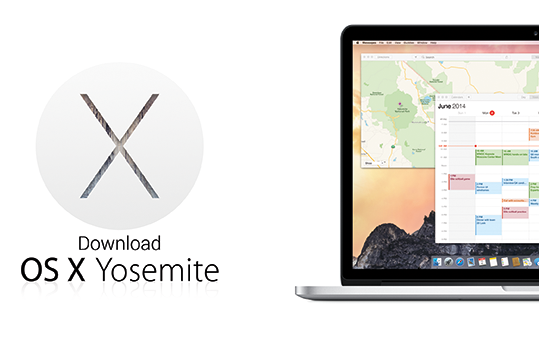 The final version of OS X 10.10 Yosemite is available in twenty-nine multiple different languages, that includes; English, Chinese, Danish, Turkish, Spanish, Korean, Romanian, Croatian, Arabic, Russian, Polish, Vietnamese, French, Greek, Hungarian, Japanese, Ukrainian, Finnish, Norwegian, Swedish, Dutch, German, Portuguese, Malay, Catalan, Slovak, Thai, Italian, Czech.